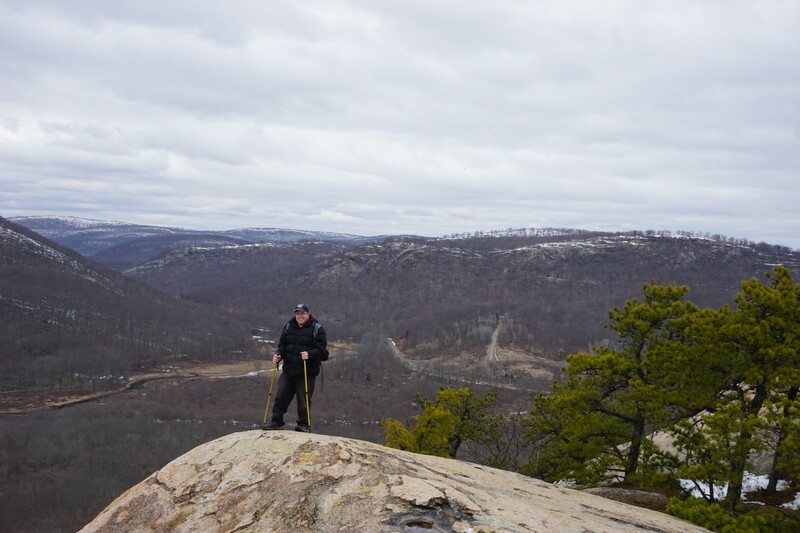 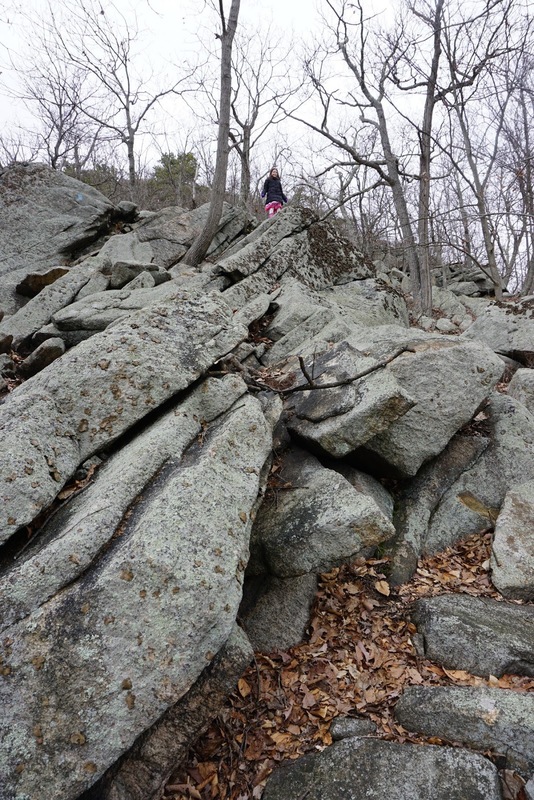 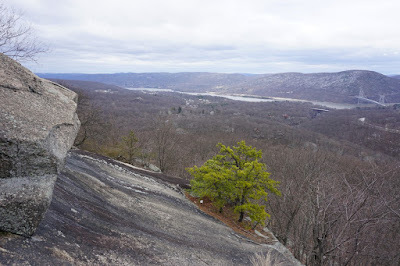 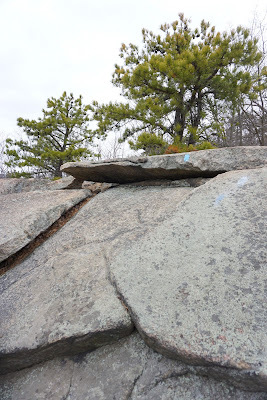 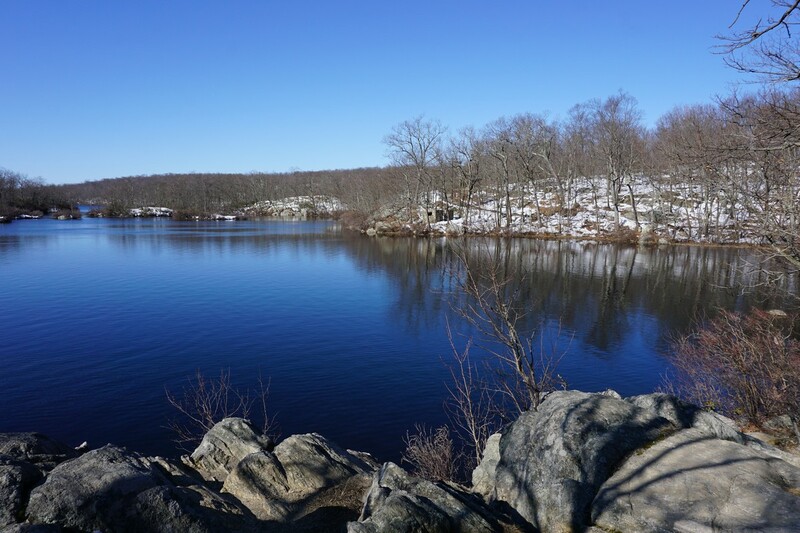 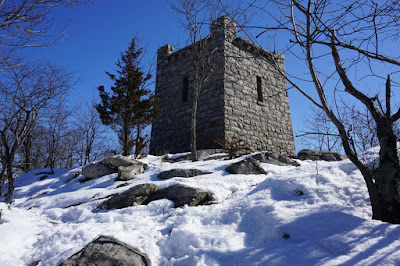 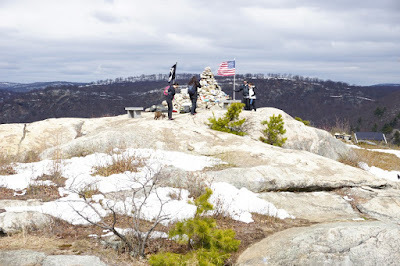 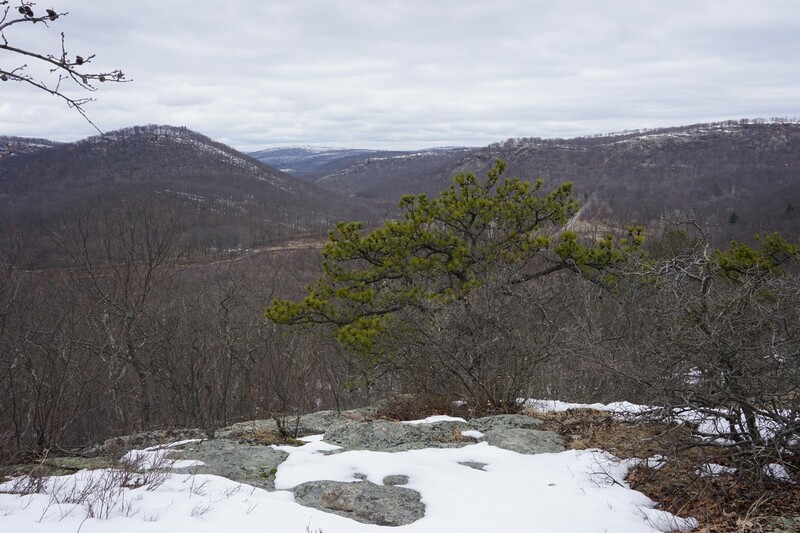 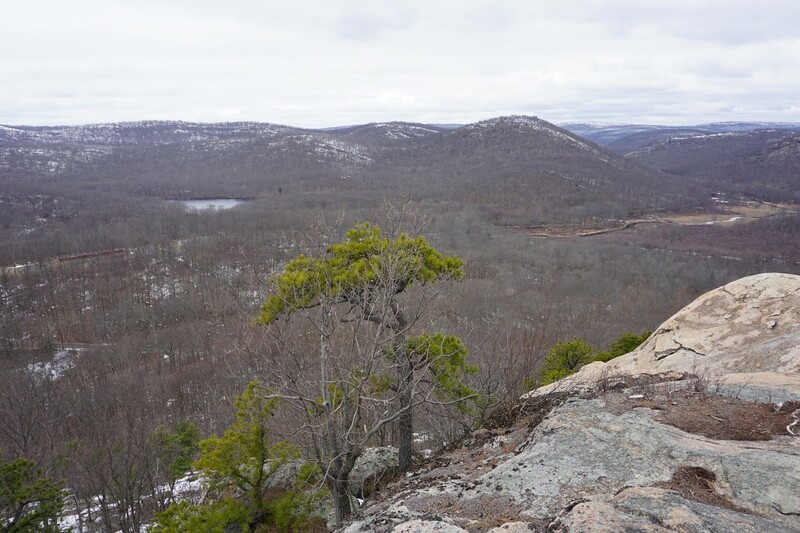 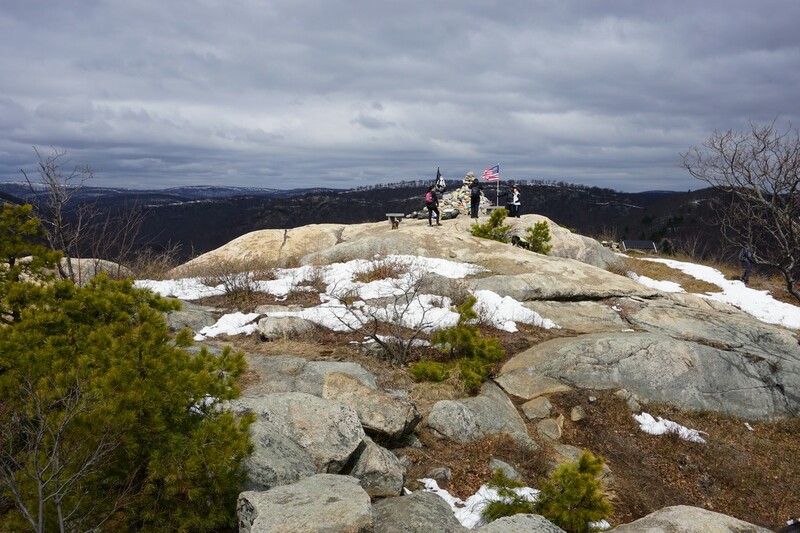 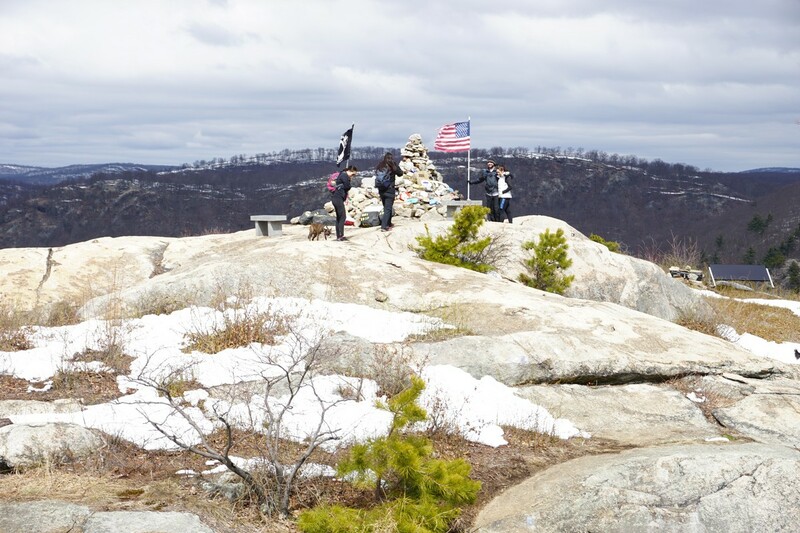 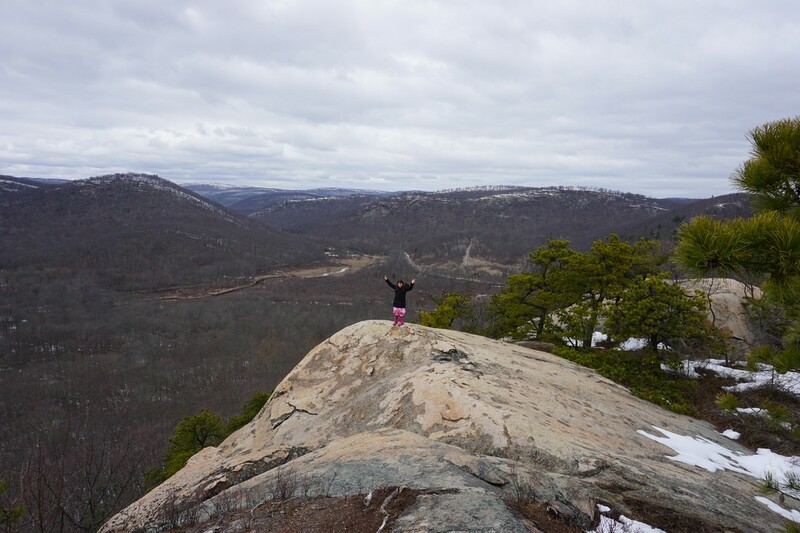 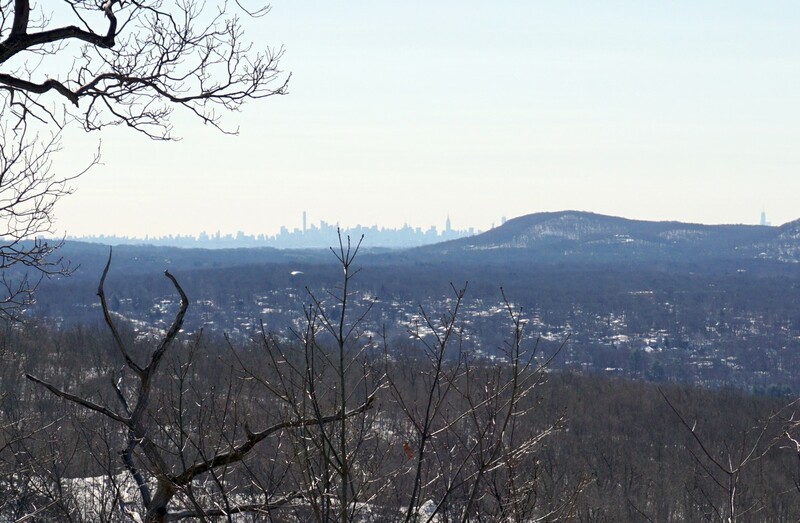 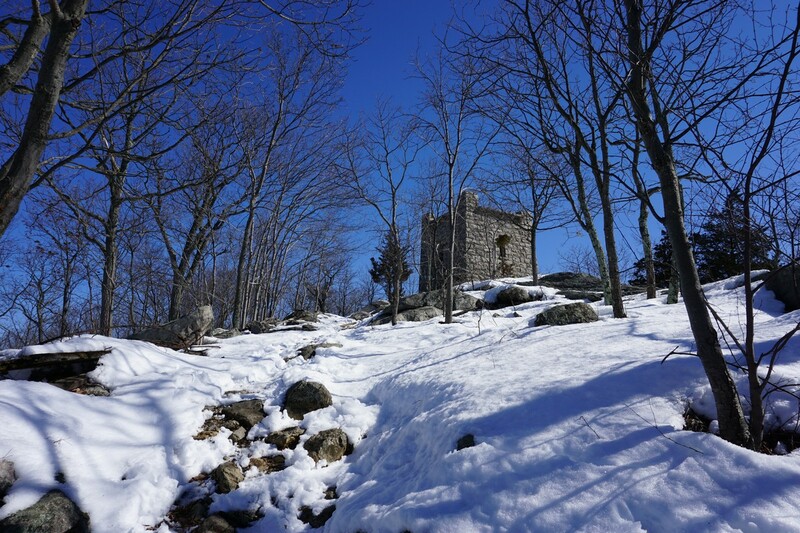 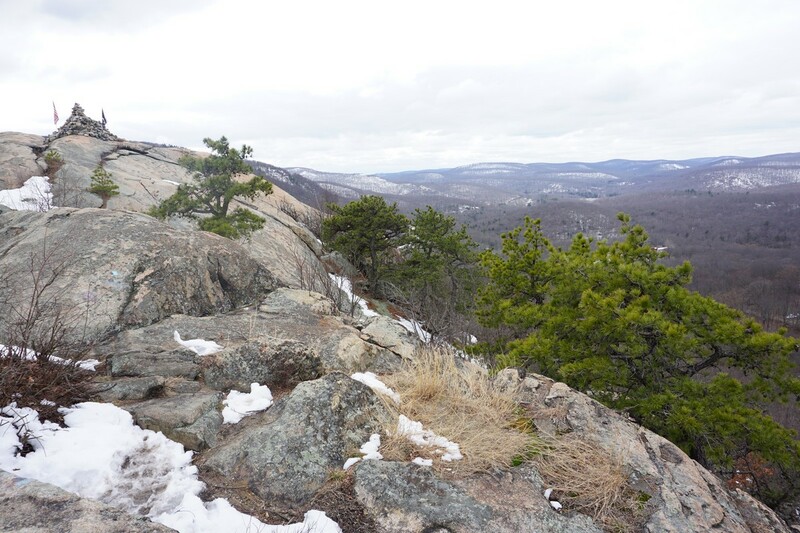 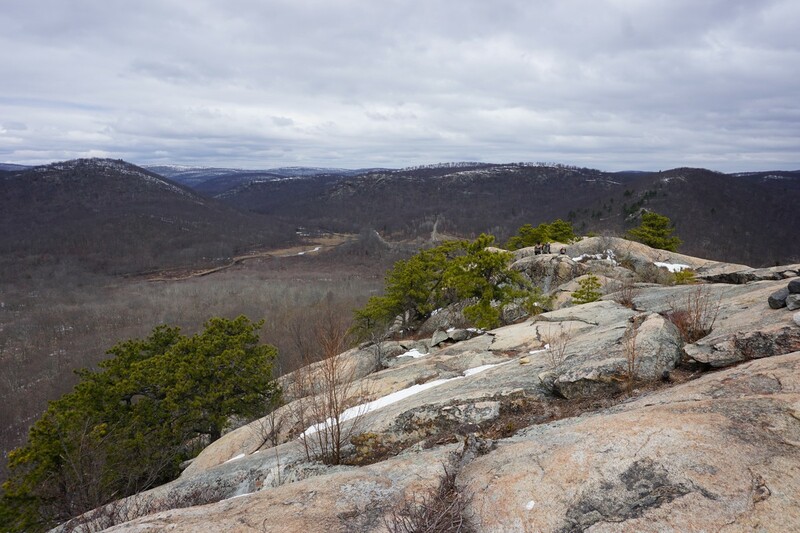 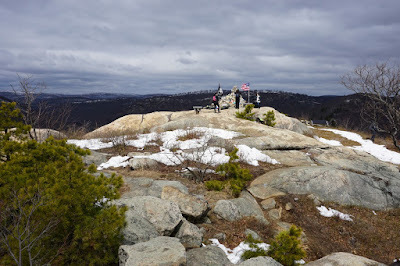 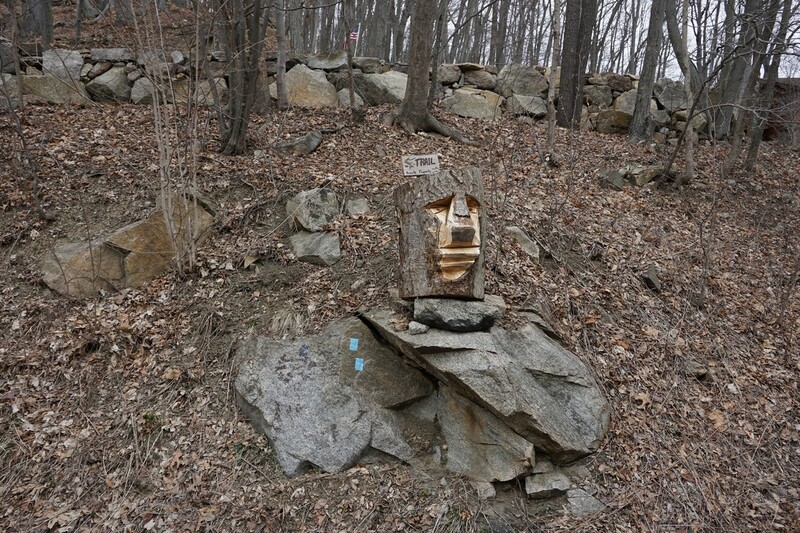 Popolopen is one of my favorite hikes in Harriman/Bear Mountain. 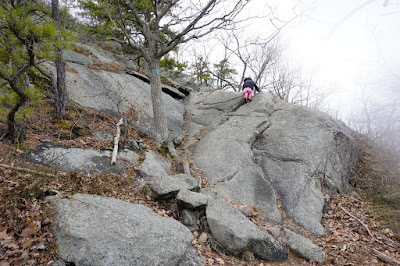 Its a great scramble over large rocks, with an excellent 360 degree view at the summit of a very scenic area. However, it is a very short hike, forming a quick loop. I would love to see the trail expanded north to the newly added park area north and northwest of the trail. 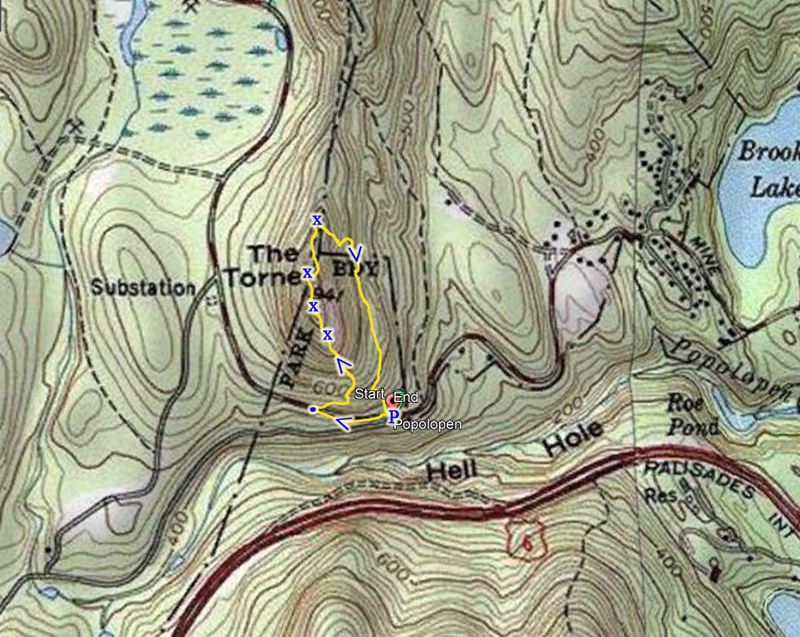 Since we were short on time, this was a good choice for a short and quick yet intense hike. This hike was in late March. 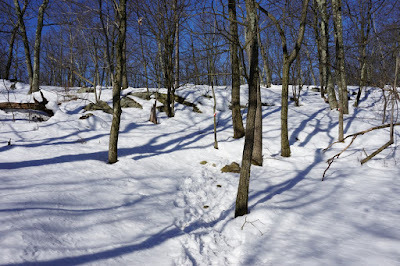 March has been well-below average, with several snowstorms and lingering snow. 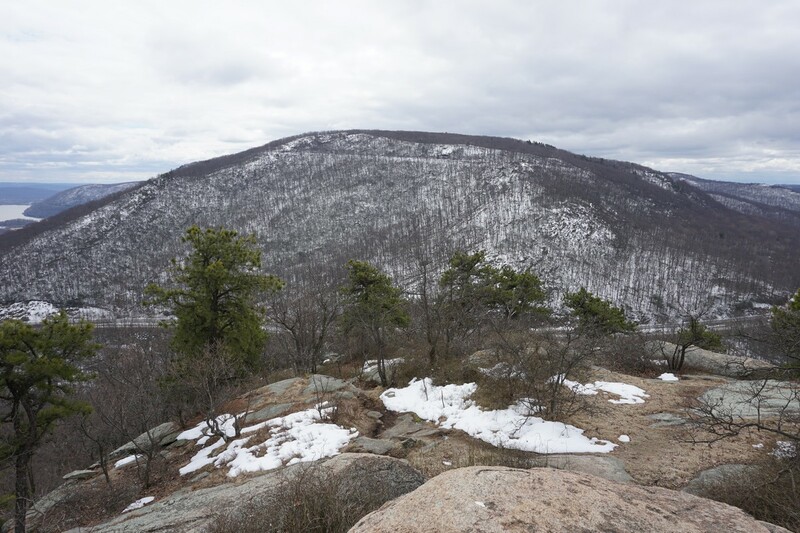 Although much of the snow from the large storm had already melted, there was still plenty of snow in the areas on the north-facing slopes that had less exposure to the sun. 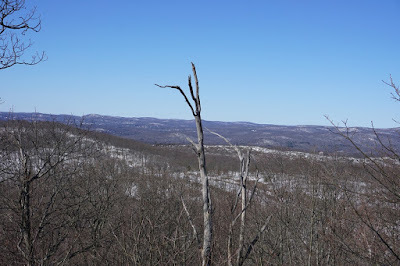 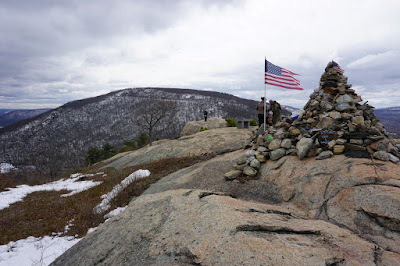 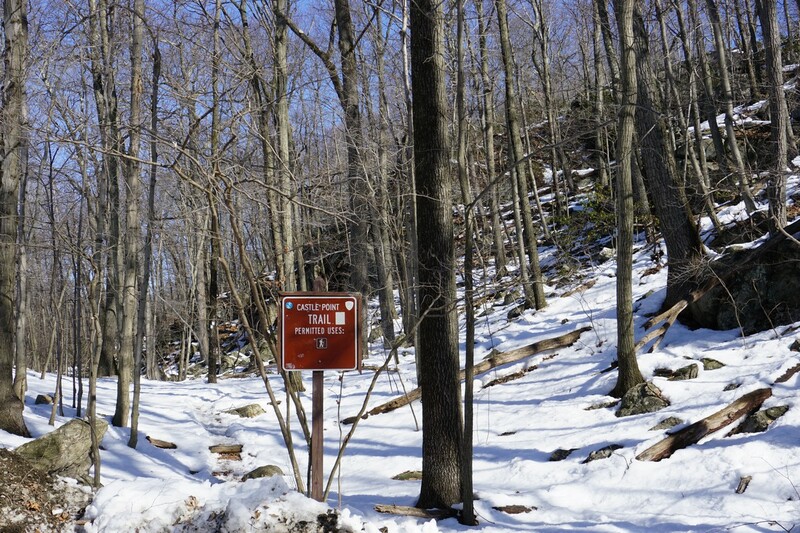 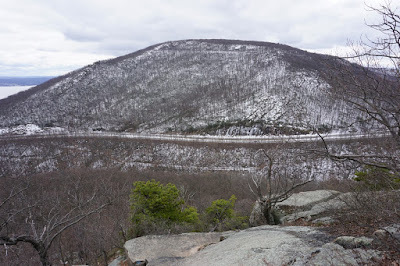 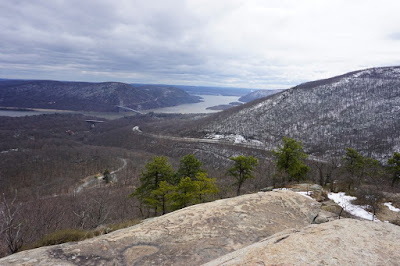 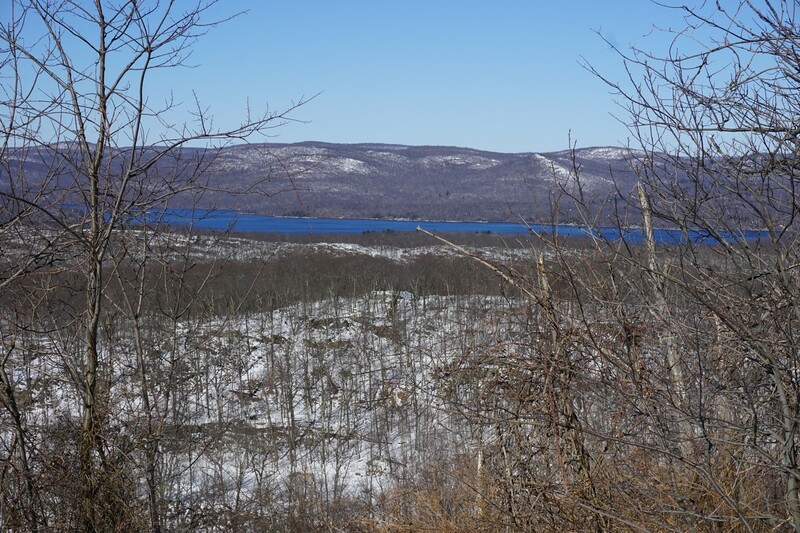 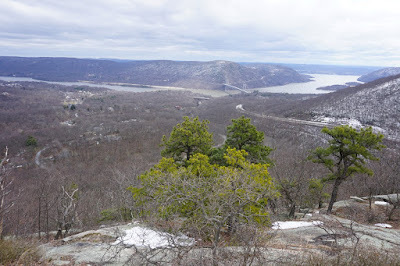 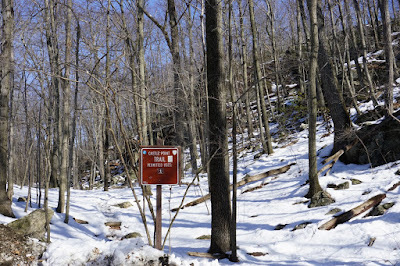 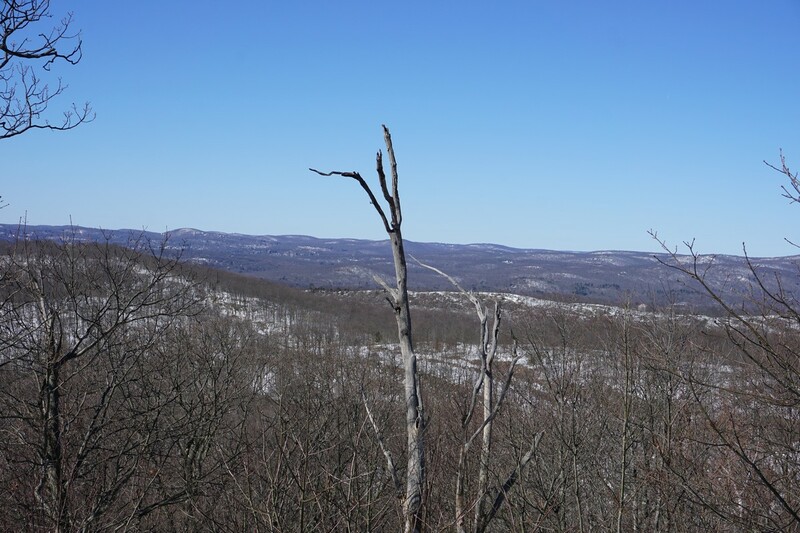 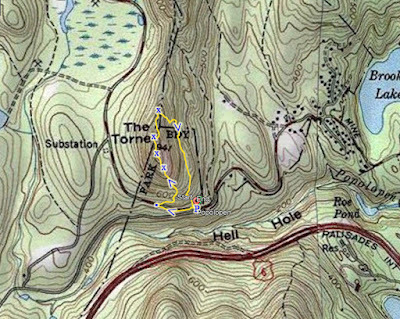 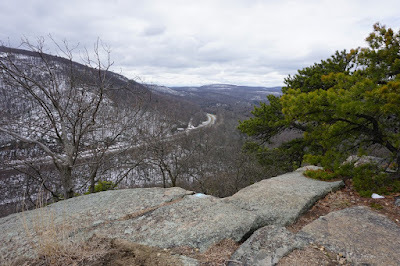 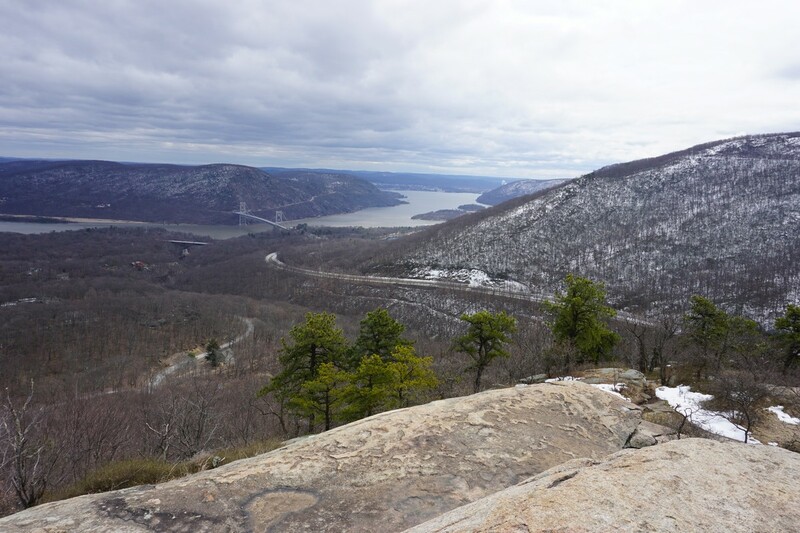 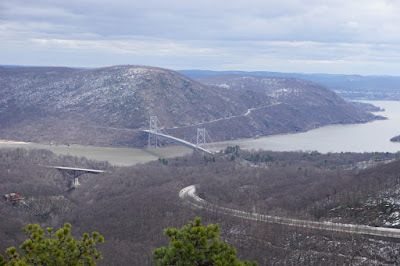 We parked at the trailhead for Popolopen Torne, and walked along the road a short distance to the western side of the loop, which features a better and more direct climb up to the summit. 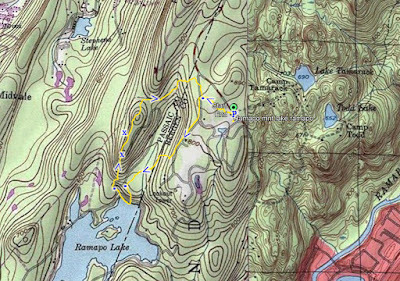 We took the Timp-Torne trail up to the relatively low but expansive summit, and then continued around the loop and back down the mountain to the trailhead by the road where our car was parked. 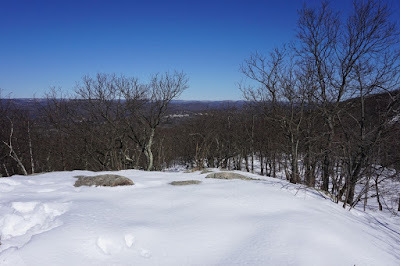 There was still plenty of snow here from the big storm a week and a half prior. 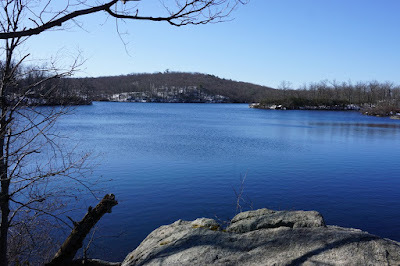 I had hike this area in 2012, and remembered it being very scenic. 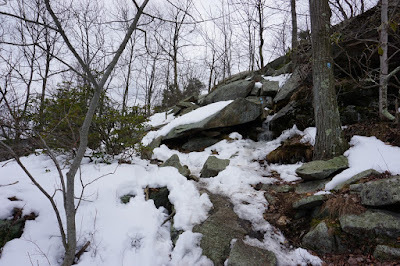 I was never along these trails in the winter, and I did a reverse hike than the one I did in 2012. I parked I parked on the upper parking area on Skyline Drive, and took the short Skyline Connector Trail to the Cannonball Trail. 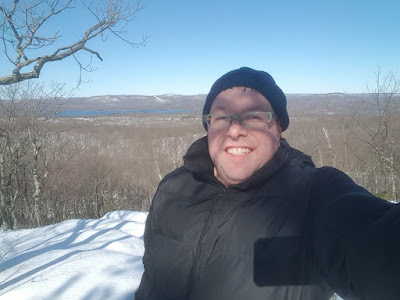 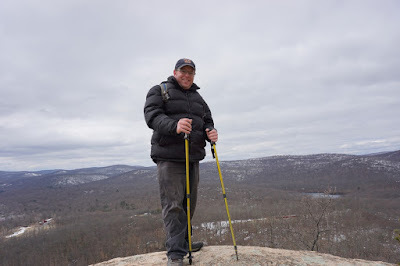 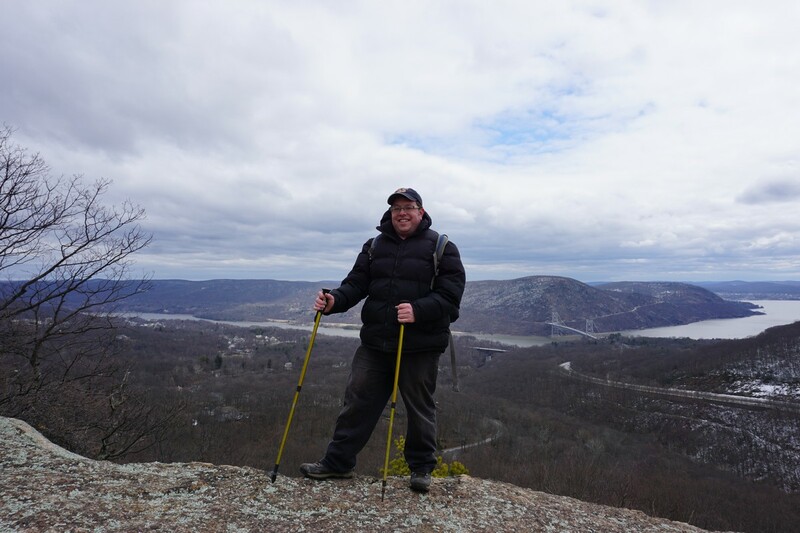 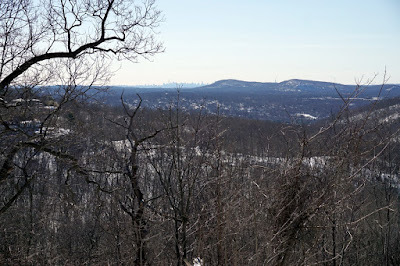 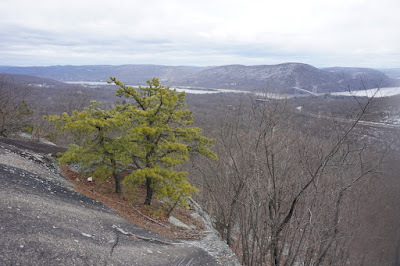 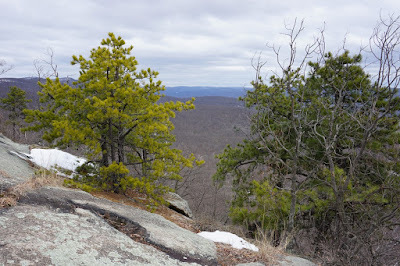 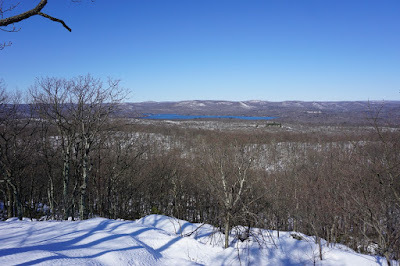 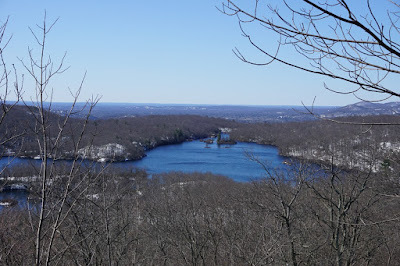 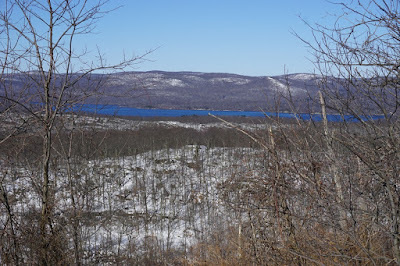 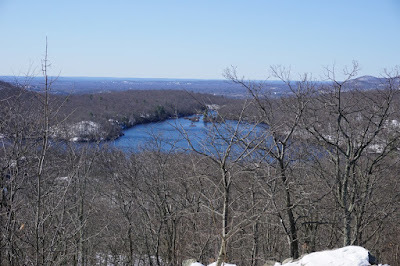 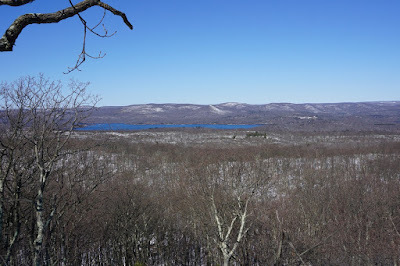 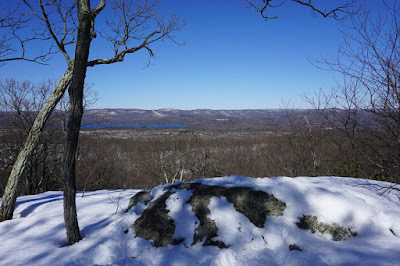 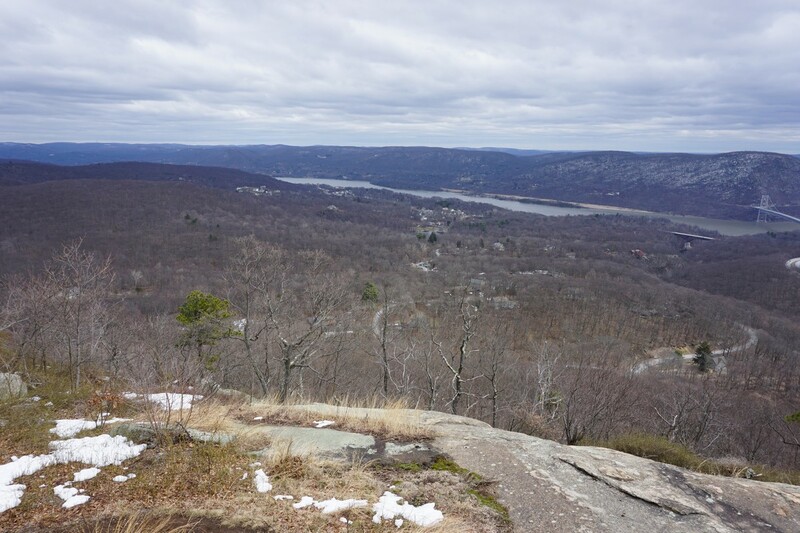 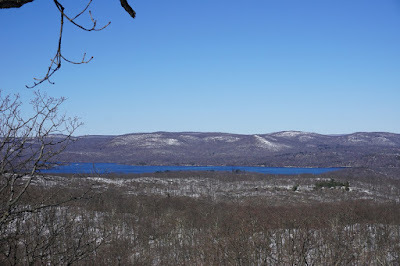 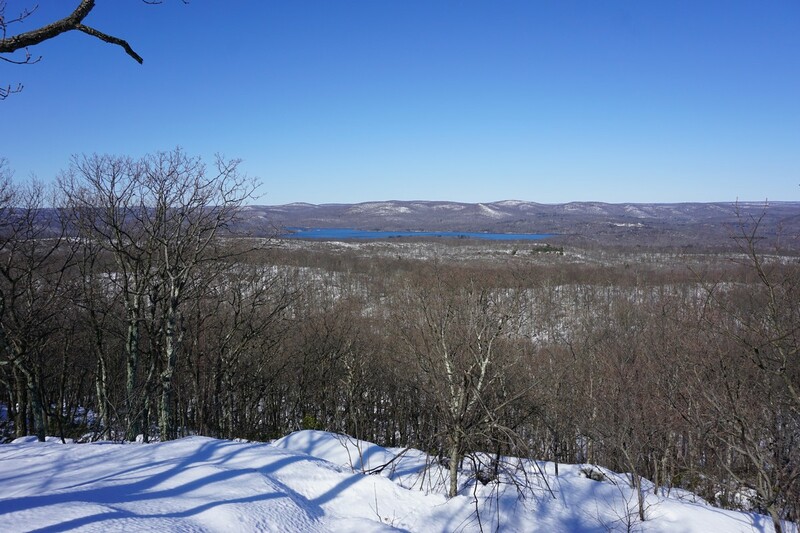 I took the Cannonball Trail down towards Ramapo Lake as it descended the ridge, and then too a short bushwack near Ramapo Lake to the Macevoy Trail. 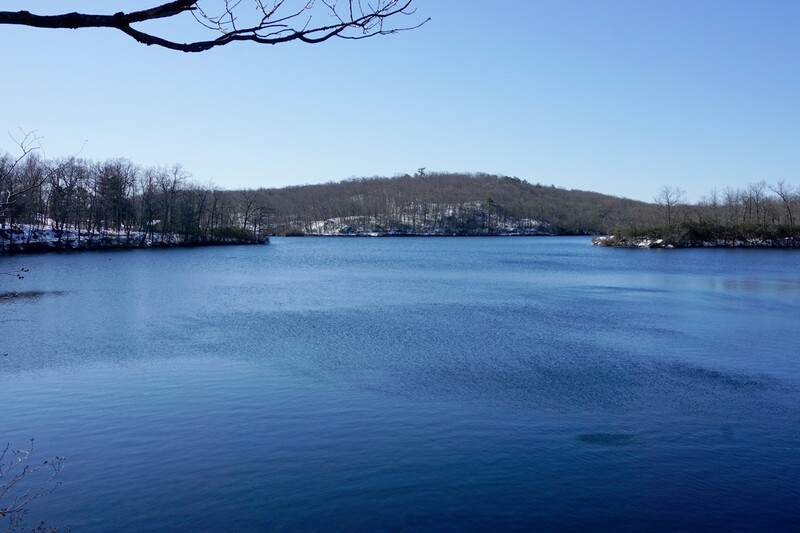 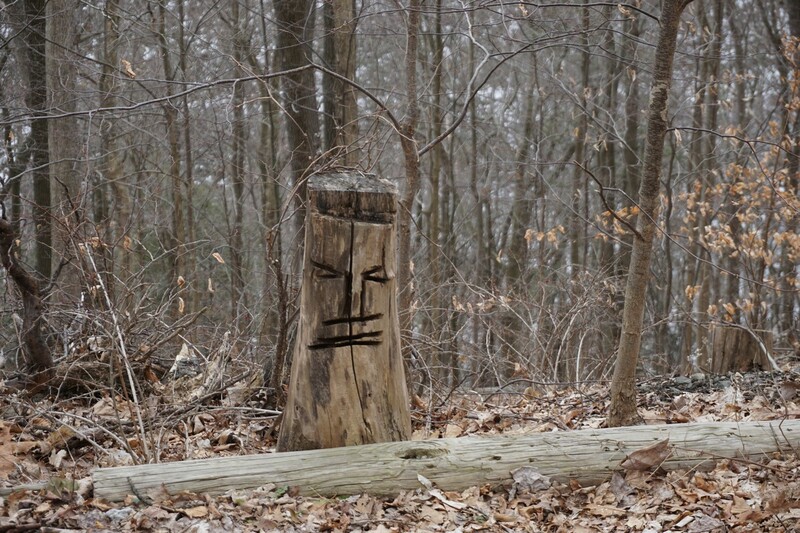 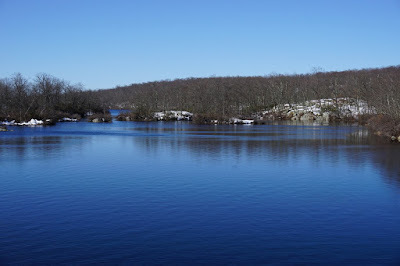 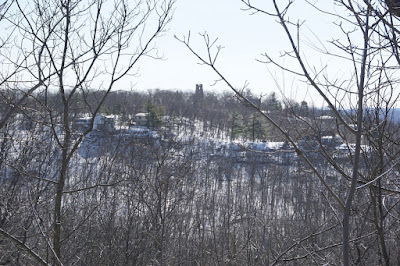 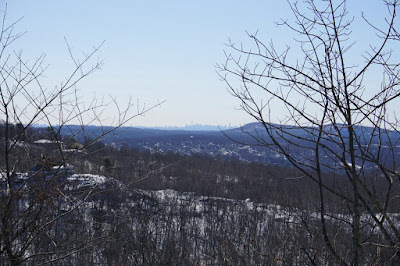 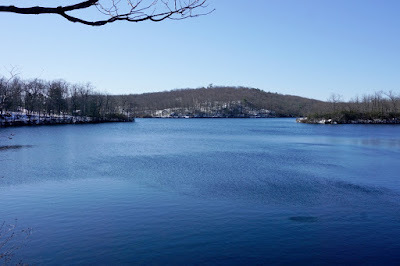 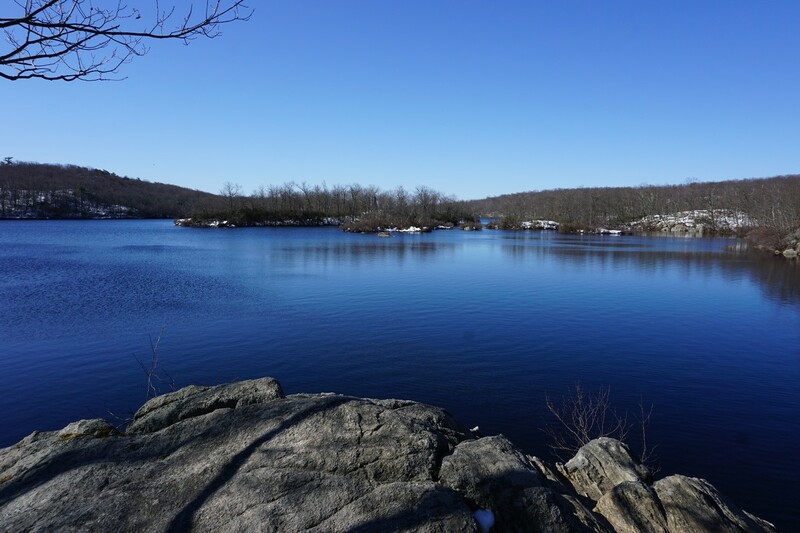 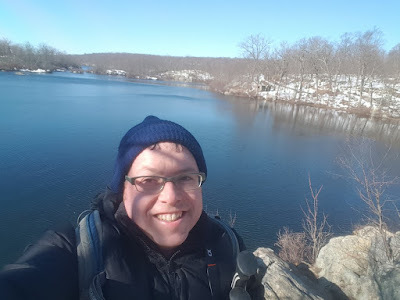 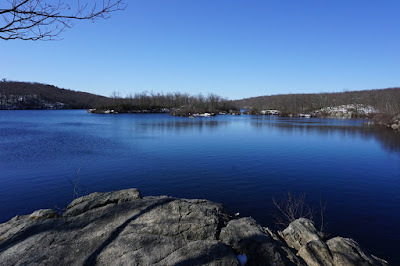 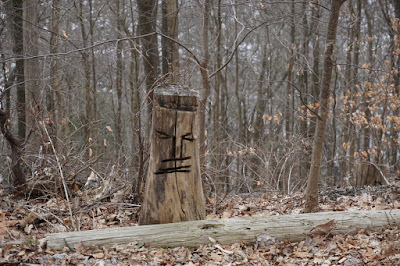 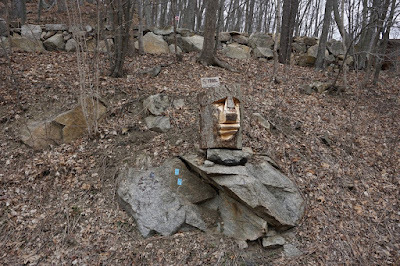 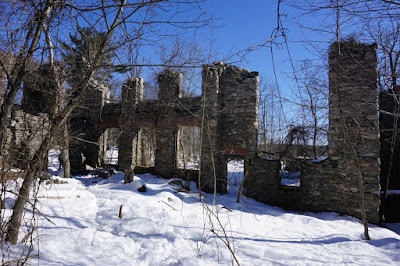 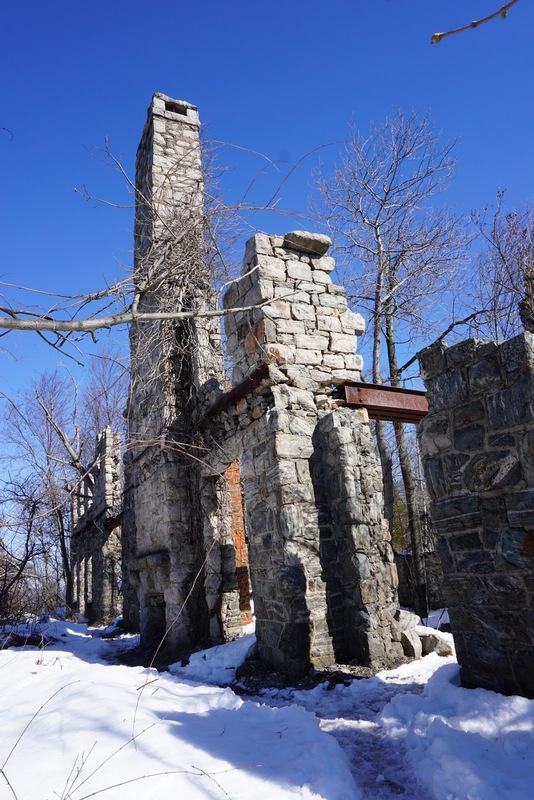 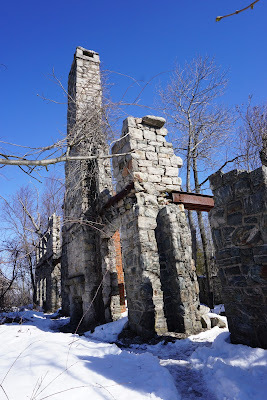 I took some pictures at the lake, and then continued on the Macevoy Trail along the northern shore of Ramapo Lake for a very short distance to the Castle Point Trail. 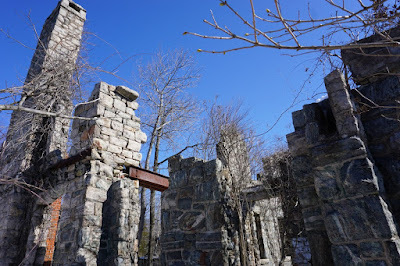 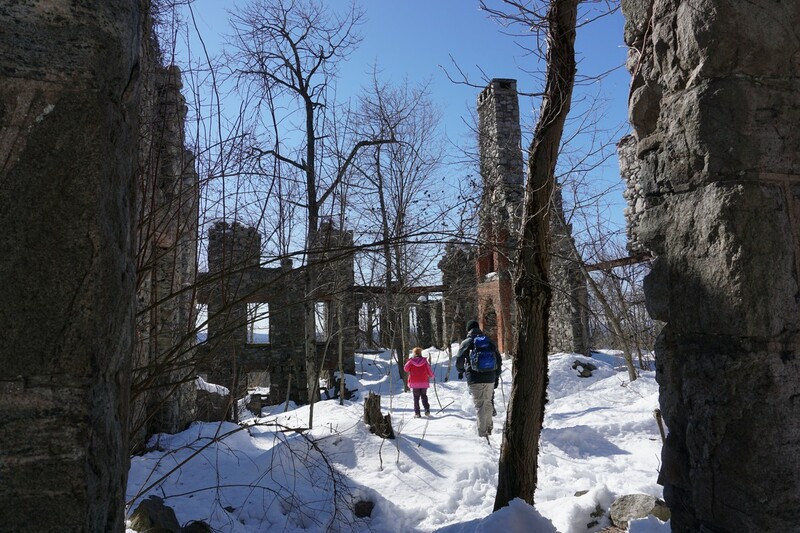 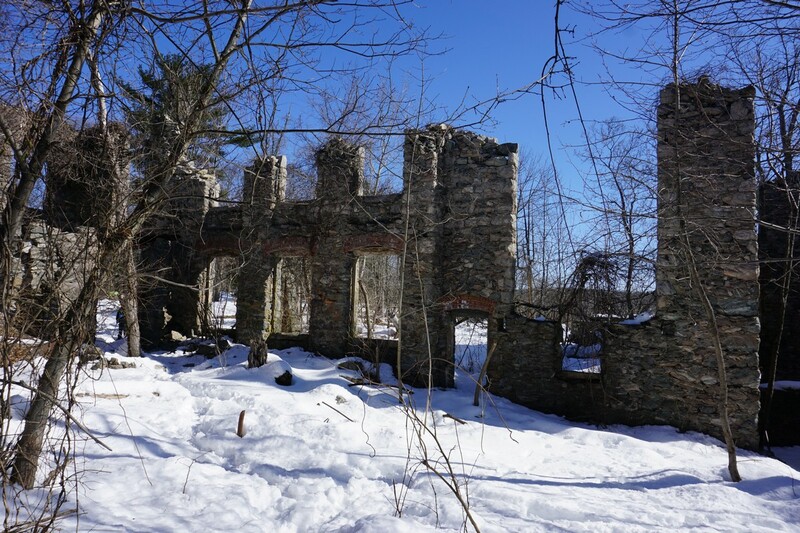 I took the Castle Point Trail up the steep hill to the castle ruins, a large home built by stockbroker William Porter in 1910, and abandoned in the 1940's, and then ruined in the 1950's. 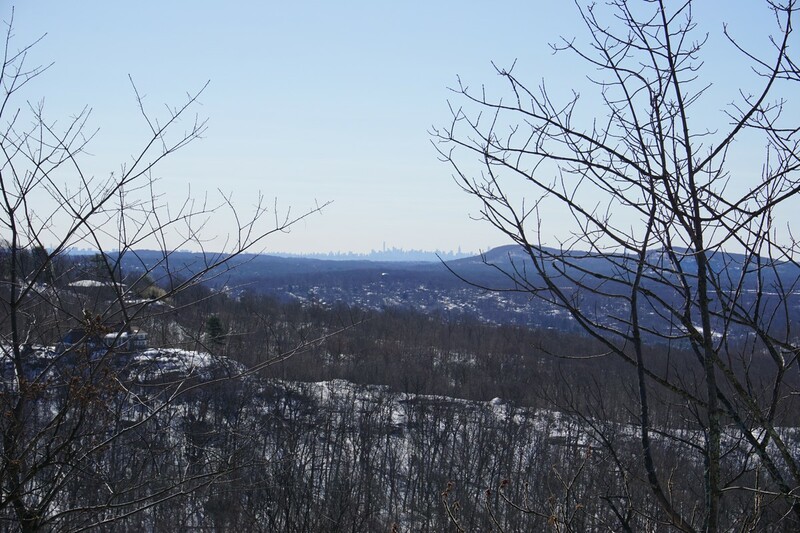 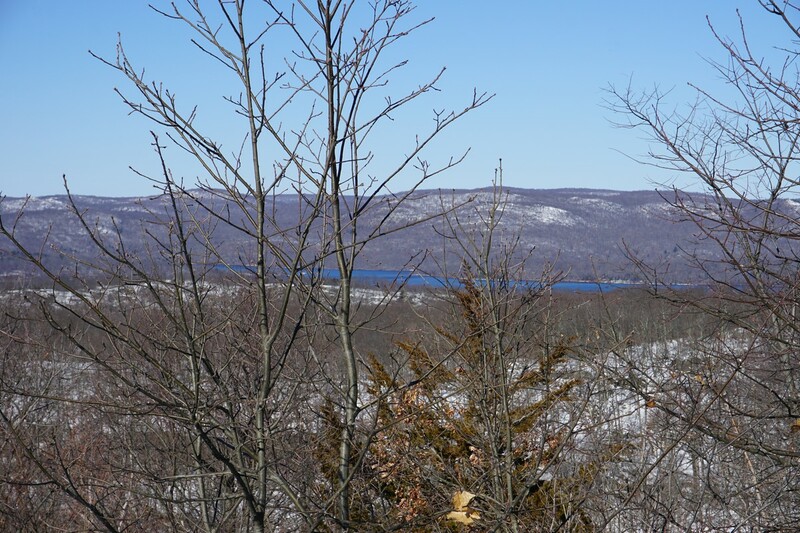 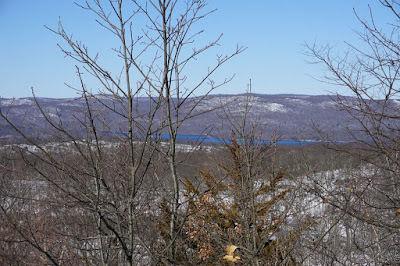 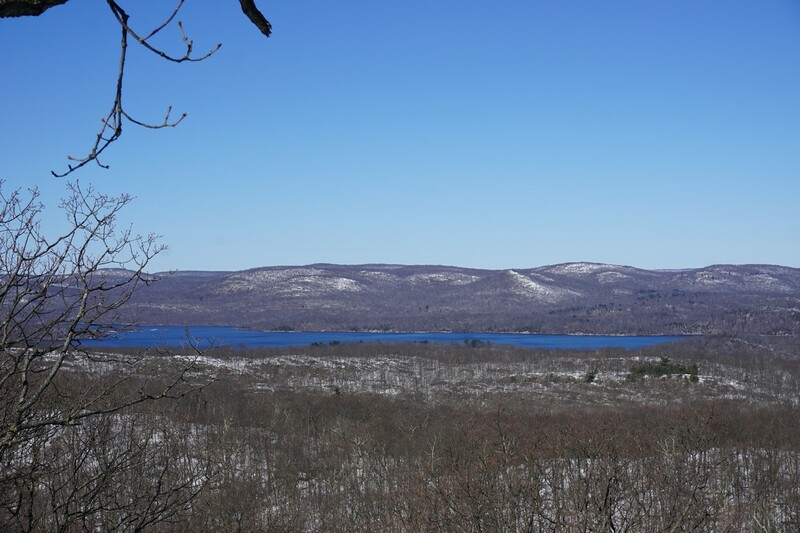 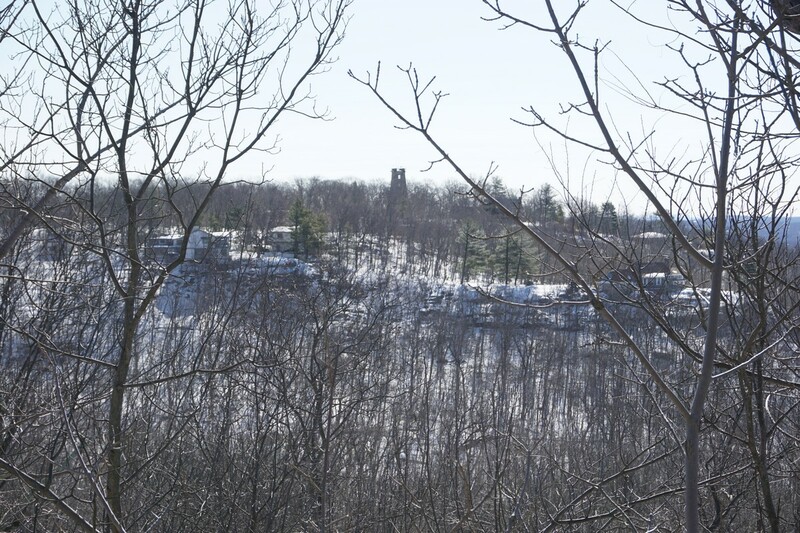 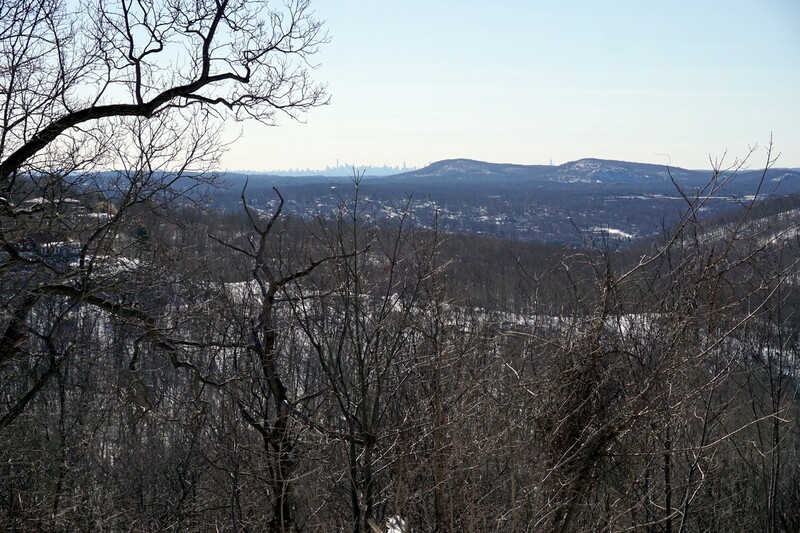 At this area there is also a nice view of the Wanaque Reservoir and Wyanokies. 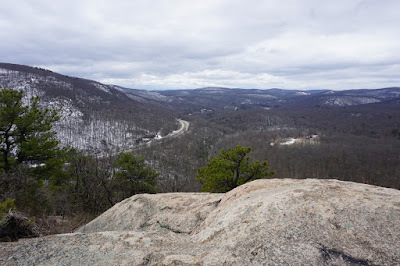 I continued along the Castle Point Trail to the Cannonball Trail, and then back to the Skyline Connector Trail, and then back to my car.